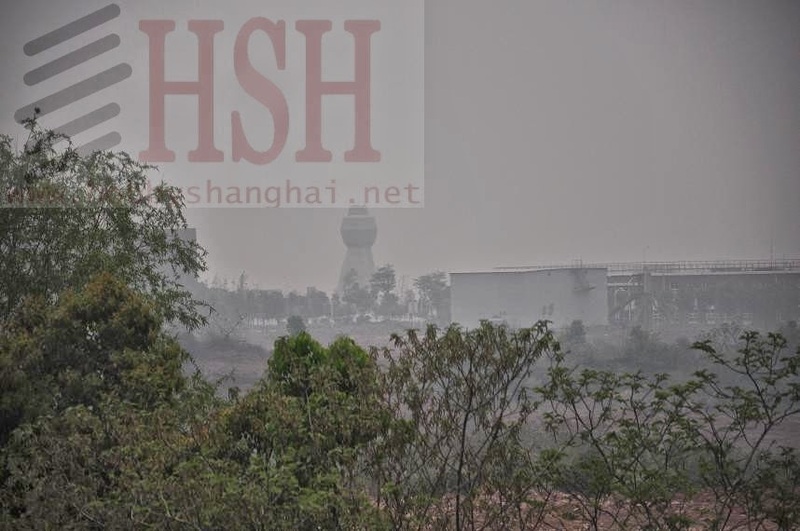 Pictures have emerged on Chinese internet sites showing what appears to be a full scale mockup of a new large surface combatant at the Wuhan Technical College of Communication, a PLAN facility for crew training and electromagnetic interference testing. New CG mockup circled in foreground, CV mockup in left background. 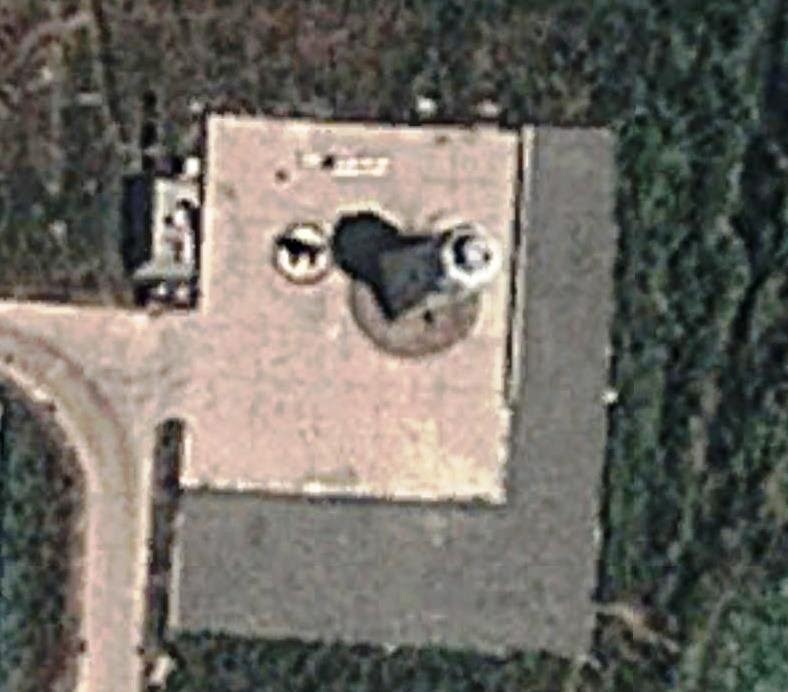 This new mockup has been recently constructed alongside the full-size mockup of the CV LIAONING (Ex-KUZNETSOV). When the LIAONING mockup was identified at Wuhan in 2009 it represented a first look at the rebuilt superstructure and new electronics fit of the former Soviet carrier. It is expected that the new large surface combatant mockup will also mount the actual electronic and sensor array of PLAN's large warship. Based on the mockup, China Defense Forum member "Totoro" has extrapolated the projected dimensions of the new large surface combatant as follows"
The above image is, to the best of my ability, a try at getting the scale right, using all the available images. Starting with the GE measurement of 23 m as width, calculating other measurements from other images taken from up close. Of course, there's bound to be some +/- 5% errors. All the measurements of the full lines are real calculations. The stern and the bow, in dotted lines, are just assumptions on my part. How long the stern be and how long the bow would be. Thus those two measurements are my guesswork. The red line is true measurement/calculation of height of the Wuhan model, from the ground level to the top of the main deck. 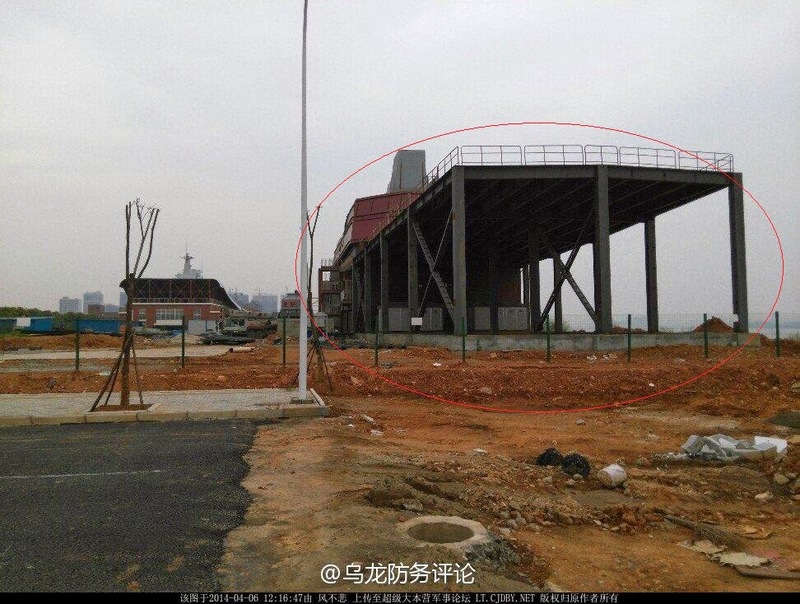 The image sort of assumes that's the height from waterline to main deck, but of course, 14,7 m may be a tad too much, so the ground level at Wuhan may not actually represent waterline of real ship. The stern dotted lines also portray two possibilites, as it doesn't seem to me the current height of hangar structure is tall enough for the current wuhan model deck height. so either the hangar structure is not finished and will be taller, or the actual level of helo pad will be lower than rest of the main deck level. It would appear that there's more than enough space for 64 fore and 64 aft vls cells. plus bunch of other systems. The wuhan model has these five large openings on the sides of the main superstructure. their size and position suggest to me we might be looking at turbine intake holes. 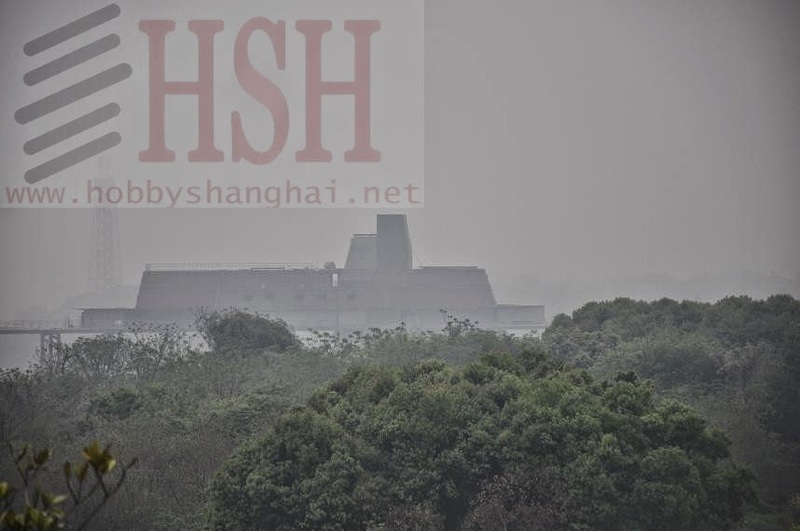 Further, a new sensor previously identified at the Wuhan site is believed to likely be associated with the new large surface combatant. 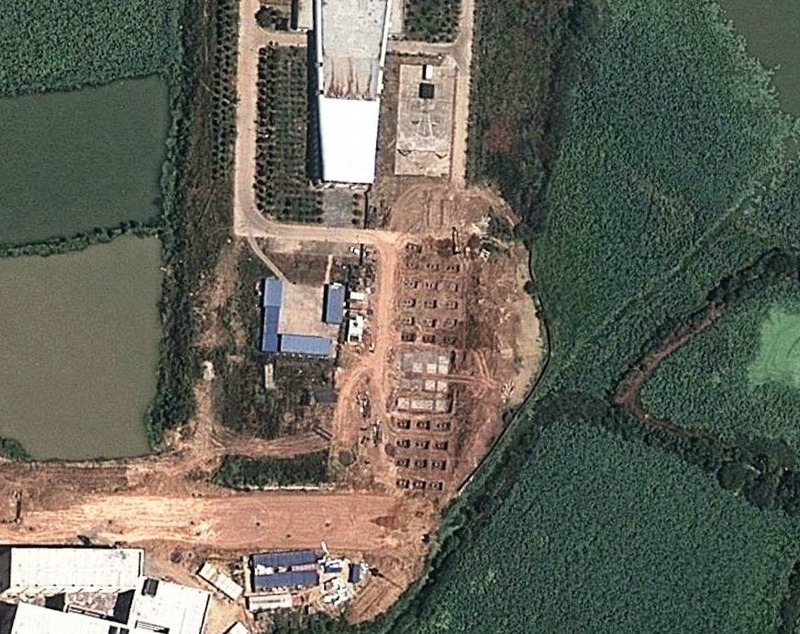 i also did measurements of the sensor mast, from the available images on GE and near Wuhan. The whole mast, from base to tip seems to be 16.7 m tall. From base to middle of the sensor "ball" structure it's 13 meters tall. 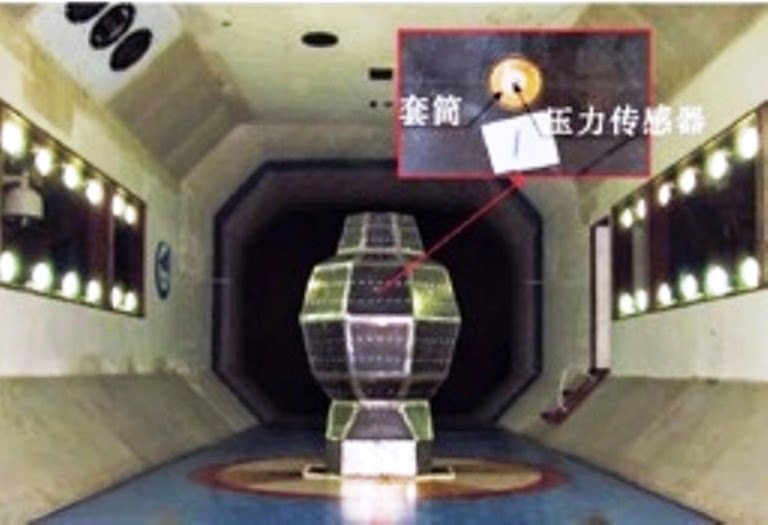 Diameter of the sensor ball seems around 5,4 meters. Again, +/-5% of error is applicable. Log in to China-Defense.com forum for more superb discussion.